What is the Cindy Blankenburg and Blankenburg Properties Difference? As an educator, I attend local, state and national meetings so I can keep up on the latest real estate information and SHARE that information with you. As a matchmaker, I show you homes that match you and your family's needs so that you will fall in LOVE; then, I become a wedding planner to make sure the transaction is complete. And, as an entrepreneur, I am broker/owner of Blankenburg Properties which is a growing boutique real estate company. We pride ourselves on meeting our clients and customers' needs. Our agents are high-quality people who have integrity and are ethical, doing what is in the best interest of the client. 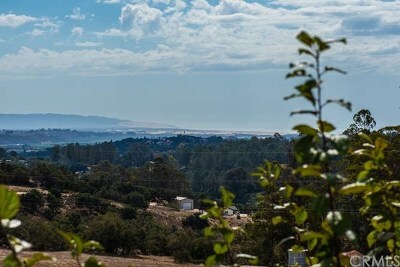 The Blankenburg family has been in San Luis Obispo County for nearly 60 years and we have been giving service to our clients and customers: first through the former Five Cities Times-Press-Recorder and now through Blankenburg Properties. We also give service to the community through such organizations such as Special Olympics, 5Cities Homeless Coalition, South County Education Foundation, South County Youth Coalition and The Pismo Coast Association of Realtors in which I served as the 2016 president and was named the 2014 Realtor of the Year. We at Blankenburg Properties work hard to find your dream home Or to sell your current home. Work with a company that has your best interest in mind. I'm Gene Garcia and I'm co-owner of Blankenburg Properties with my wife, Cindy Blankenburg. We pride ourselves in our customer service and meeting the needs of our clients. We tailor our marketing and service plan to each of our clients. For our sellers, we employ a multi-media marketing plan in which we use the internet, print and specialized publications. For our buyers, we search for the perfect home by keeping an eye on the market and keeping updated on what will soon be available. I have experience with rehab and re-sell properties. I also have experience managing our family's commercial and residential properties. I would like to share my experiences with you.